Motorola's G series phones have been darlings of the Android community for their ability to deliver exceptional value. You can't expect the world from a $200 phone, but Moto G phones are usually "good enough" to make budget-conscious buyers balk at spending two or three times as much for a premium phone. 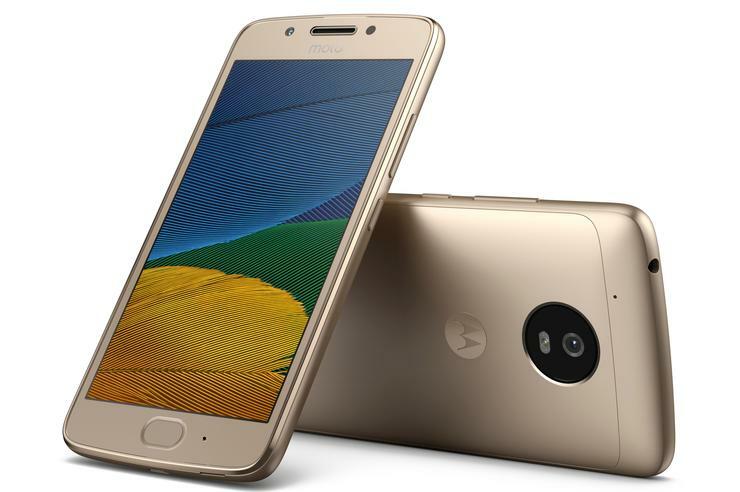 The company is looking to continue that trend with the Moto G5 and G5 Plus. The G5 will cost only 199€ (it's not coming to the U.S.), while the G5 Plus will be only $229 when it ships here in March. For the price, they seem quite good. The bodies, now metal, aren't going to win any design awards, but they feel a bit more premium than the old plastic G series phones. Motorola promises all-day battery life and fast charging, with the U.S.-bound G5 Plus sporting a 3000 mAh battery. With only a Snapdragon 625 processor and 1080p display, that's likely to result in pretty good battery life. The cameras seem quite good for a phone in this price range. The G5 sports a 13MP camera with 1.1 micron pixels and an f/2.2 lens. The G5 Plus' 12MP camera has much bigger 1.4 micron pixels and an f/1.7 lens. I snapped away with both phones, and while shot-to-shot performance was a little on the slow side, the resulting images were pretty impressive for phones at these prices. It's nice to see Motorola take cameras seriously in such a low pricing tier. But perhaps my favorite feature is the software. These phones are practically Nexus devices, as far as the user experience is concerned. The Phone app, Android Messaging, Photos, Contacts—everything is basically stock Android. The app drawer even slides up from the home row of icons. just as it does on the Pixel. There are a few minor customizations, like Moto Display and Moto's own gestures (make a chopping motion to toggle the flashlight, for example). But by and large, from the Settings menu to the Google feed on the leftmost home screen to the Google Assistant, you'd be forgiven for thinking this was a Google phone. Performance is a little laggy at times—these are budget phones, after all—but the lean, near-stock interface promotes responsiveness and smooth animation throughout. The G5 Plus has all the ingredients for a "best budget phone" pick. I found a few glaring faults in just a few minutes of using the phone, but of course one would expect that at this price. It doesn't feel like it costs $299, and that's good news for those looking for a new cheap Android phone.